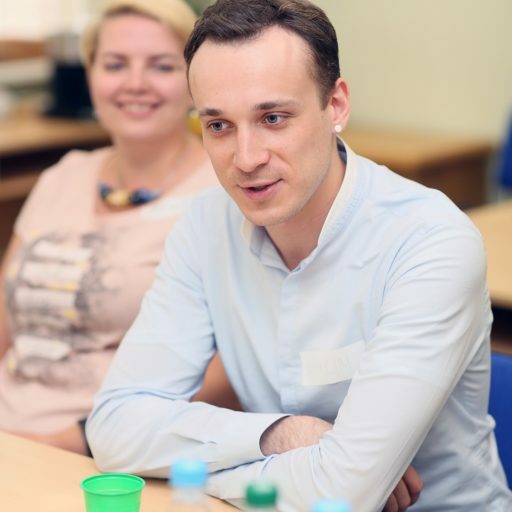 Maksim Karliuk is research fellow at the HSE-Skolkovo Institute for Law and Development, National Research University Higher School of Economics, Moscow and a PhD candidate, Ghent University. However, as integration projects are also about power, the process of fine-tuning of the new features has been influenced considerably by the power play. The major issue is that there is a member state, which clearly holds a dominant position over the others – Russia. The tensions between member states that ensue turn the integration project into a battlefield with different actors either trying to reinforce the power position, to shield from power, or to make a claim to power through various means, including the constitutional framework. In fact, a constitutional framework can be used for power concentration through its institutionalization, reinforcing the features of dominance. This, naturally, brings about resistance of weaker states. For example, this has led to reluctance of some states to engage in a formal political integration (refusal of the proposed name “Eurasian Union” in favor of “Eurasian Economic Union” is revealing). Further, decision-making no longer operates upon a weighted voting system corresponding to the financial contributions of each state, which made it impossible to take any decision without having Russia on board. Therefore, the weaker member states were able to rearrange the formal power structure somewhat in their favor. However, still, the hegemon uses other instruments to project its power, including, but not limited to, informal influence (e.g. the majority of employees in the regulatory institution are Russian) and legal means (e.g. subduing regional legal framework to the national one, see later below). The idea of having stronger institutions also introduces a risk of institutions becoming a power of their own, challenging the states, the weaker ones and the hegemon alike. The Commission has indeed been gaining more power, and the official EAEU website now describes it as “a supranational regulatory body”. Not entering into the whole supranationality debate, the role of the Commission is, however, limited. Even if it wanted to make a claim to power, it is deterred by the decision-making system informally called the “Belarusian elevator” (the system was proposed by Belarus and eventually agreed to by others). In the current system any decision adopted at a lower level of the institutional structure can potentially be challenged at a higher level of the institutional ladder controlled by member states. To be fair, however, the current system is still an improvement upon previous post-Soviet systems, where decisions where subject to obligatory approval of the highest institution. An important new feature that has been introduced is the direct applicability of Commission decisions. However, this feature is quite ineffective without supremacy of EAEU law. National constitutional provisions of EAEU member states vary considerably in this respect. The integration process has seen movements in opposite direction, with examples of the least international law-friendly states ameliorating their stance, while the more international law-friendly states doing the opposite. Thus, in Belarus, previously, the constitutional court could make decisions of any international institution inapplicable upon pronouncement on their incompatibility even with national laws and presidential decrees. However, recent legal changes have seen a departure from this ultimatum-like provision. Now, relevant state authorities are allowed to first take measures to introduce changes in such decisions. It is a plausible development, but it falls short of changing the dependency direction, where Commission decisions could be effectively treated lower than both constitution and national legislation. Russia’s constitution, on the other hand, is more international law-friendly. However, the country has seen a movement in an opposite direction. A clear example is the law to allow the Russian constitutional court to recognize as unenforceable decisions of international courts, and, basically, set aside international obligations. This law has followed the ruling of the Russian constitutional court regarding decisions of the European Court of Human Rights, but, of course has much wider ramifications, both to Russia’s international obligations in general, and the EAEU Court’s decisions in particular. This brings us to the EAEU Court as the main loser of the power play. Initially, the Court had quite impressive competences and tried to make use of them to assert its power through activism. The Court was eventually punished for that, and one episode illustrates it perfectly. The preliminary ruling procedure was once invoked by a national supreme court, which, for some reason, almost immediately withdrew the request. The Court decided to open the proceedings nevertheless and delivered the ruling, which it had a right to. The reaction of member states was quite astonishing – they removed the preliminary ruling procedure altogether. Therefore, the Court was left without, arguably, the most important type of proceedings to be able to ensure uniform application of EAEU law. There are many other limitations that the Court has suffered, including the differences in approaches that the Russian constitutional court has already voiced and, together with the Commission, it can no longer prosecute member states. Therefore, the Court is not capable of becoming a real actor in the Eurasian integration process anymore and is wary about its next actions. To conclude, the ‘war of all against all’ is obviously an allegory about weaker states fighting the hegemon, the hegemon fighting weaker states, and them together, eventually, fighting the institutions. This leads to a paradoxical situation, where a desire to create a functioning constitutional framework leads to a fight against it bringing about the first losers – the institutions, especially the Court. The question now is who will be the winner(s), if there is such an option at all. Thucydides, The Peloponnesian War (TE Wick ed, Modern Library, 1982), p. 351. SUGGESTED CITATION Karliuk, Maksim: The constitutional framework of power distribution within the Eurasian integration process: bellum omnium contra omnes, VerfBlog, 2016/6/28, https://verfassungsblog.de/the-constitutional-framework-of-power-distribution-within-the-eurasian-integration-process-bellum-omnium-contra-omnes/, DOI: http://dx.doi.org/10.17176/20160629-104510.